Our team has over 15 years in the industry. 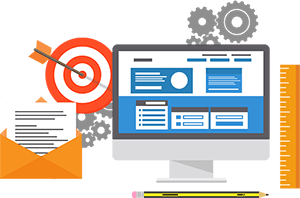 We understand website development, digital marketing, SEO and what it takes to drive more qualified leads to your business. We build high quality, ultra-responsive websites crafted to your professional needs. We use the latest best practices to deliver high-end websites that perform on all devices. We are a certified Google Adwords Partner. Through strategic planning and market research, we can develop targeted ads to drive qualified leads to your business. We offer Search Engine Optimization (SEO) to enhance your organic ranking is all major search engines. We have the experience needed to ensure your website is in compliance. Building an amazing website and driving traffic to is great. However, in some areas, we need to have a competitive advantage. We are able to perform market research and competitor analysis. Often times we work with companies that have their own marketing and development team. We can help with strategy and planning as a consultant for your team. I am very happy with the technical support and service. The costs are extremely reasonable. This company cares about its clients. I feel like I’ve finally found a webservices company that is honest and provides value above and beyond what I have received from other companies I have been with. I run my own online business and the value added services to my hosting plan like SEO has majorly increased my business sales and I have saved thousands of dollars compared to what my previous web service companies were charging me. I really feel lucky to have stumbled across this company. Ed Ritter of WP Suites is very professional, responsible and easy to work with. He helped me create exactly the website that I envisioned. He has gone above and beyond with his hosting services, follow up, and training me to use the website efficiently. I am extremely pleased with his services. For business hosting, this is the best place I have ever used. MOst hosting companies just give you an account and leave you to figure it out by yourself. The people here will NOT do that. They make sure your website is up and looks good. I switch my hosting from godaddy to WP Suites and now my website loads 3x as fast. Ed also makes and maintains great websites! Ed Ritter and WP Suites is the top WordPress developer and site manager. I would never use anyone else. If you have a WordPress site or plan to build one, you should call them. Ed is the BEST! Ed has done several websites for us over the years. His work is visually very appealing – I have never failed to be surprised and excited about what he delivers, despite my inability to provide content in a timely fashion. It’s not so easy to put a finger on the Analytics and SEO. That’s a very fuzzy area to measure one provider against another. We understand the issues with slow and offline websites and have designed a system that delivers speed, uptime, security and is easy to use. 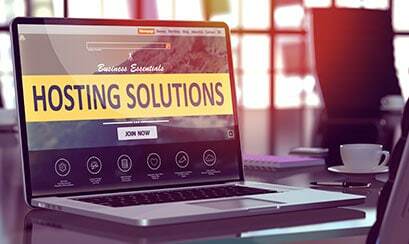 Although we primarily host WordPress Websites, we do have the ability to host most types and currently host a wide range of websites. Our team has years of experience with hosting websites and managing servers. Unlike most hosting companies, we have developers that can assist with technical issues with the websites and databases. We offer both managed and unmanaged services. Our team of experienced technicians can help with deployment, setup, and customizations to meet your specific needs. Fill out the form and we will send you a complete and detailed audit on your website for FREE!